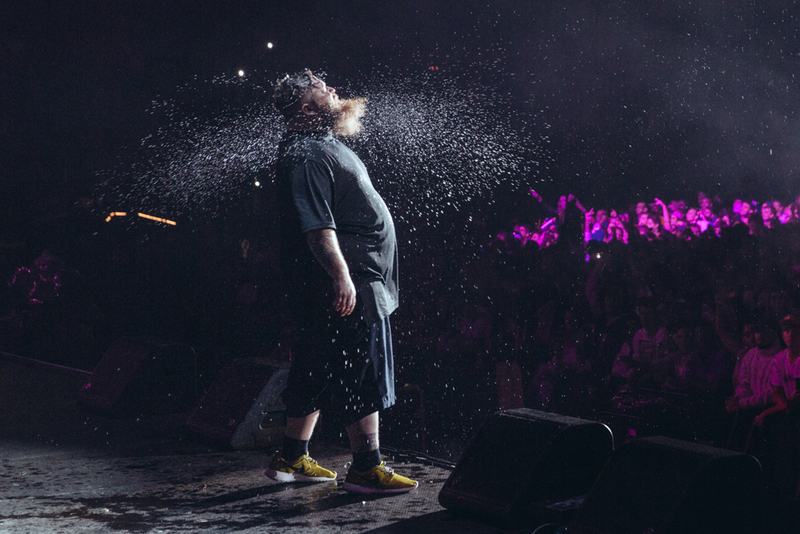 I caught Action Bronson (rockin’ the yellow Nike Roshe Runs) in beast mode earlier this month during Eminem’s Rapture Tour in South Africa. Aside from being a super cool, genuinely good dude, he puts on a great show, and is full of energy with a lot of crowd interaction. I wanted to share this because I thought this really captured the intensity of his live shows. If you have a chance to check him out, do it!